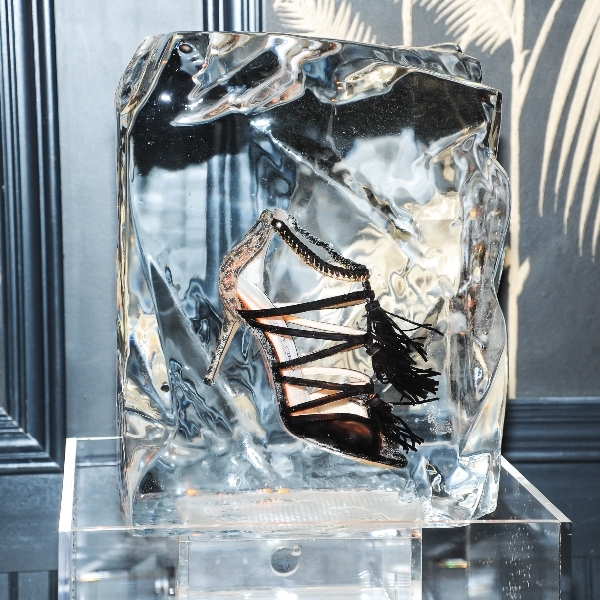 Jimmy Choo and Creative Director Sandra Choi hosted a cocktail party at No. 8 to celebrate the 2014 Cruise Collection. Guests enjoyed a special DJ set by Harley Viera Newtown and sipped on cocktails inspired by the collection. Guests included Sandra Choi*, Fabiola Beracasa*, Mia Moretti*, Jamie Chung*, Phillip Bloch, Andie Arthur*, Peter Brant Jr.*, Hannah Bronfman*, Garth Condit, Sofia Sanchez Barrenechea, Jeisa Chiminazzo*, Carole Radziwell, Alex & Keytt Lundqvist, Kate Foley*, Henrik Fallenius*, David Florentin*, Jamie Chung*, Steven Chaiken, Jonathan & Kevin Ferreira de Sampaio*, Natasha Prince, Sara Riff, Kenza Fourati*, Benjamin Thigpen, Cory Bond*, Elizabeth Gilpin*, Patrick Kafka*, Gertrud Hansen*, Julie Henderson, Nicky Hilton, Lady Liliana Cavendish, Justin Hopwood*, Gianluca Di Sotto*, Elena Foley, Kyle Anderson, Adam Gallagher, Mikkel Jensen*, Genevieve Jones*, Mario Loncarski*, Laura Love*, Doug Pickett*, Chad White*, Jessica Joffe*, Dan Murphy*, Tao Fernandez*, Charlotte Kidd, Leandra Medine*, Diego Miguel*, Mia Moretti*, Erika & Jonathan Bearman*, Dorian Reeves*, Brian Shimansky*, Garrett Neff*, Cory Kennedy*, RJ King, Lola Rykiel*, Josh Truedsell*, Bryce Thompson*, Cleo Wade*, Henry Watkins*, Anya Ziourovia* and more. *Indicates dressed in Jimmy Choo.